First trailer for Netflix's historical epic. Chris Pine reteams with his Hell or High Water director David Mackenzie for historical epic Outlaw King. 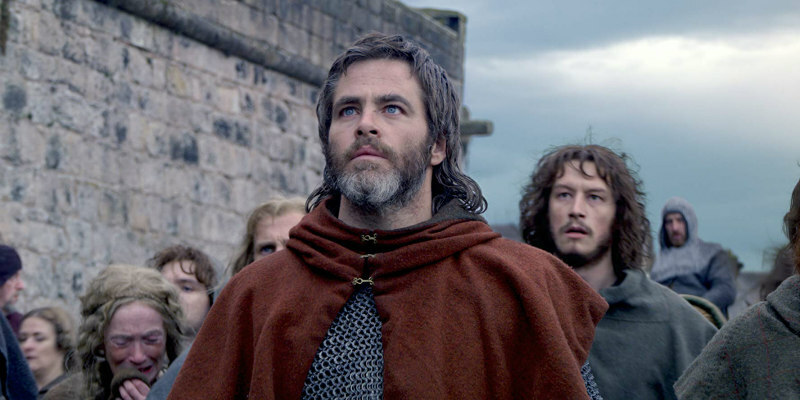 Like Mel Gibson's Braveheart, Mackenzie's film tells the story of a legendary Scottish hero, this time Robert the Bruce, and his battles against the English. Along with Pine as Robert, the film also stars Aaron Taylor-Johnson, Florence Pugh, Billy Howle, Tony Curran, Stephen Dillane, James Cosmo, and Sam Spruell. Outlaw King will premiere at next month's Toronto International Film Festival before hitting Netflix on November 9th. As is sadly becoming the norm with Netflix productions, this one doesn't seem to be getting a big screen release, which based on the trailer, it probably deserves.